It’s no big secret that Mudcrutch, the band, is the Gainesville, Florida, band that served as the prototype for Tom Petty’s Heartbreakers. 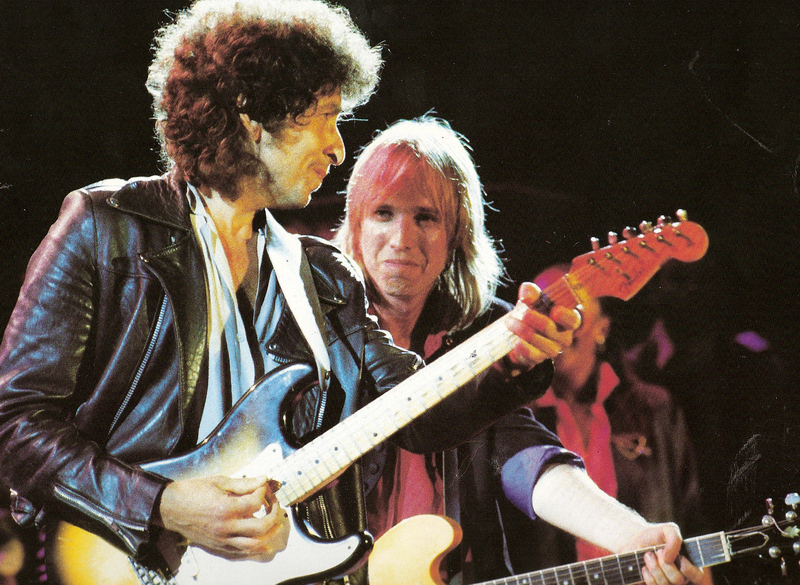 Petty is back at the mic for the 2008 version of Mudcrutch, also featuring Heartbreakers keyboardist Benmont Tench and guitarist Mike Campbell. Original Mudcrutch members Randall Marsh (drums) and Tom Leadon (guitar), brother of Eagles and Flying Burrito Brothers member Bernie Leadon, are also in the lineup. Mudcrutch is a 14-song catalog of country rock and apparent Heartbreakers outtakes that wouldn’t have diverted anyone’s attention from the Eagles or the Byrds if it had been released in the early 1970s. Those two groups are the obvious touchstones here – “Lover Of The Bayou” is indeed a Byrds tune, one of three cover songs on the album, and “Orphan Of The Storm” (another Katrina-related song) has an Eagles-like lilt. Leadon takes over lead vocals on “Queen Of The Go-Go Girls” and Tench and Campbell even sing a bit on the album too. “Scare Easy” has that familiar Heartbreakers sound and will likely be the bait that lures the listener inside. 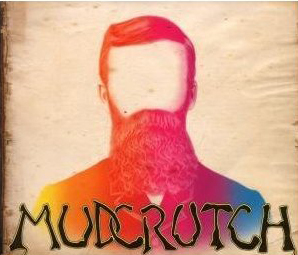 Recorded in a two-week period, this is a little too accomplished to pass off as garage rock but Mudcrutch is a perfect throwback to those early ’70s days when bands knew how to play and, uh, take it easy. If they ever made a Mount Rushmore of the greatest figures in American popular music, it would probably have Elvis, Sinatra, Dylan and Muddy Waters. And the sculptor would have to make room for one more: the great Willie Nelson. Willie is 75 years old today (we’re goin’ with the April 30 birthdate). It’s hard to imagine anyone who has successfully dabbled in so many forms of music: he’s played country, rock, blues and reggae. He recorded albums of standards long before anyone else, he’s been in movies and played just about every beer joint and football stadium in this country. It’s almost easier to list the things he hasn’t done. But please – don’t give him any ideas. He just put out a four-CD box set with 100 of his best songs and it doesn’t even scratch the surface. 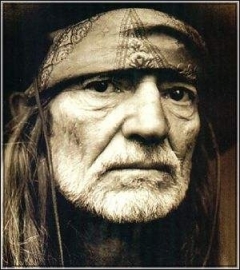 One day, we are going to wake up and Willie Nelson won’t be around any more. And the world will be a much, much worse place. Johnny Cash was as “alternative” as it got. Never exactly country, not exactly rock and roll, you couldn’t pigeonhole this guy. 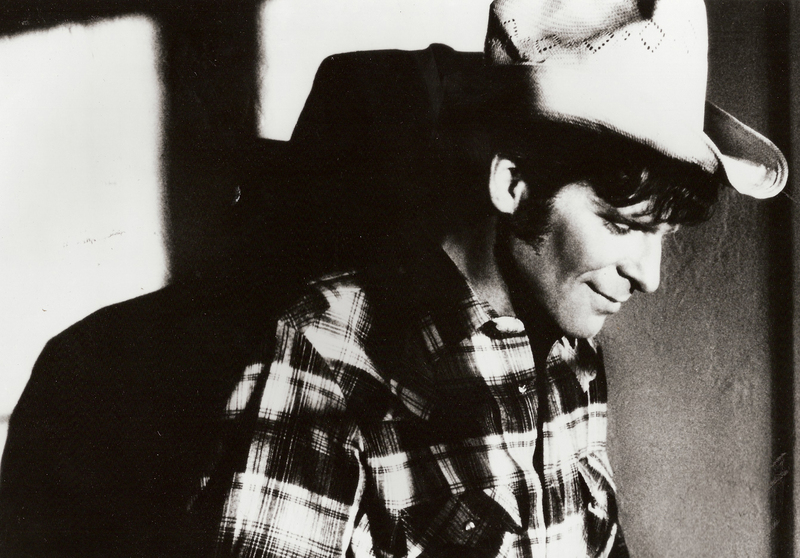 When he sang country, his style was dead-on rock and roll. It only stands to reason that Elvis became the big star out of Sun Studios – Johnny Cash was just too badass. He could have been the very first punk rocker. You can’t beat that Johnny Cash stuff out of Memphis. It’s been available roughly since the 1950s but it never gets old. That’s why it was so refreshing to hear The Alternative Johnny Cash, a promo-only CD distributed by Columbia back in 2002. The short, 5-song disc was issued to help celebrate Cash’s 70th birthday and to serve as a bonus to Kindred Spirits, a multi-artist tribute featuring Bob Dylan, Bruce Springsteen, Steve Earle and others. Today’s blues artists are the best living link to the giants of the past. Some of the old guys are still around, still playing the old sound, but the new guys offer great hope for the future of this vital American music. David “Honeyboy” Edwards is perhaps the oldest of the old-timers. On his new album Roamin’ And Ramblin’, this 93-year-old Delta bluesman reaches back on songs like “Crawling Kingsnake” for the classic acoustic sound championed by people he once played with, like Little Walter and the great Robert Johnson. This album combines new sessions with older live tracks, and has plenty of guests. 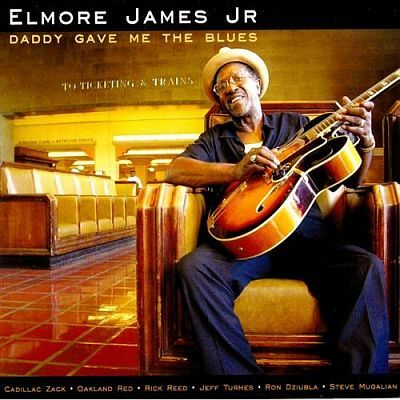 Elmore James Jr. has a pure lineage – he is the undisputed son of the legendary Elmore James, father of the electric slide guitar. “Going Back Home,” which comes early on Daddy Gave Me The Blues, recalls his dad’s classic “Dust My Broom.” The apple didn’t fall far from this blues tree; Junior’s got his own stinging style on the guitar. Although things get a little slick at times, this solid Chicago-style blues album rarely loses its energy. Slick is perhaps a better description for Lowdown Feelin’, the third studio release from The Mannish Boys, a group of veteran blues players including guitarist Kid Ramos. “These Kind of Blues,” the opener, kicks off with a flamenco guitar and a Mexicali horn that makes you wonder if you wandered into the wrong album by mistake. Other songs take you on a tour through various blues (and other) styles – it’s all very competently played. What’s missing is the feelin’, lowdown or otherwise. 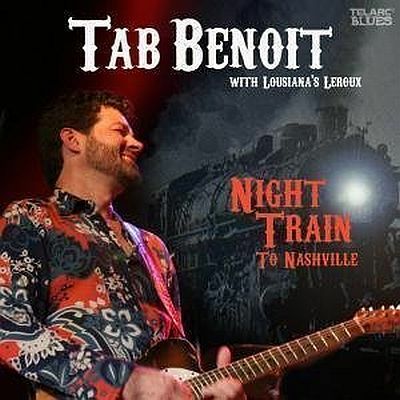 And our little blues tour winds up down in the Louisiana bayou, where Tab Benoit rides the Night Train To Nashville. This live recording is propelled by Benoit’s fiery guitar and boosted by guest spots from Kim Wilson, Jim Lauderdale and a band that’s a New Orleans legend: Louisiana’s LeRoux. This is the best one of the bunch; it rocks from beginning to end and even tosses in, for the old timers, a faithful cover of the LeRoux standard “New Orleans Ladies.” This one’s a keeper. MP3: Going Back Home (electric) by Elmore James Jr.
Blogkeeper’s Note: Occasionally we will feature “Rock Moments,” which are … hell, why lie? They are just things we want to write about, and attach a few cool songs to. For a short while, Creedence Clearwater Revival was one of the country’s top bands. But after they broke up in 1972, John Fogerty stumbled with his first solo album. Blue Ridge Rangers, from 1973, was interesting because Fogerty played all the instruments – but it was country, and very unexciting country at that. That was when Fogerty’s fight with Fantasy Records – which issued all of Creedence’s albums – came to a head. Fantasy had the rights for eight albums from Fogerty, but John wanted out because he felt the company was ripping him off. David Geffen and Asylum Records stepped in and made a deal to allow Fogerty to record again. The result, John Fogerty, came out in 1975 on Asylum and it was Fogerty’s triumphant return to rock and roll. “Rockin’ All Over the World,” “The Wall” and “Almost Saturday Night” had the righteous ring of vintage Creedence, and although it had a few cover songs, it was a great album. After that triumph, Fogerty went into hiding while he worked out his legal problems and wouldn’t surface again until 1985 with Centerfield. 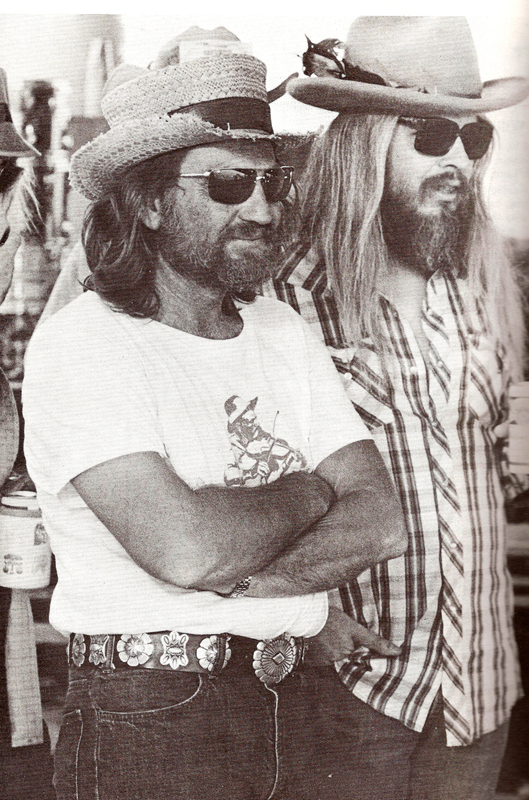 Willie Nelson’s first July 4 picnic was in 1973 in Dripping Springs, west of Austin, and it was a near-disaster. More than 50,000 fans jammed the rural roads leading to the concert site, and understaffed concert workers continuously treated heat exhaustion and fought with drunken fans. So the next year, they just made it bigger. Somebody called it “The Great Willie Nelson Commando Hoo-Ha and Texas Brain Fry.” I can attest to that “fry” part – College Station, Texas, in early July is kinda like the surface of the sun and Willie’s picnic, a three-day event at the Texas World Speedway, was hotter than the devil’s digestive tract after a Tex-Mex meal at Las Manitas. You are currently browsing the 30 Days Out blog archives for April, 2008.